The one thing most people agree on is that Short Sales will continue to be a large part of our market for at least the next year. I work on a lot of Short Sales both as a Listing Agent and a Buyer Broker here in the Manchester NH area. The short sale process is not regulated, therefore the way agents handle it varies widely. There are some outlandish trends happening that are making the process frustrating that just do NOT have to be. There is no easy way to say it and this is no time to be polically correct when the result of a poorly handled short sale can lead to foreclosure. 10. BUYERS WHO ARE NOT EDUCATED WHAT A SHORT SALE IS AND HOW THE PROCESS WORKS. 1. CHOOSING A LISTING AGENT: When choosing a listing agnet to conduct a short sales the seller should note that all agents are not created equal. They should also know they have a choice. a. EXPERIENCE: Choose an agent who is experienced in Listing, Negotiating and Selling Short Sales. This is not the time for "on the job training". Do not settle. b. CHOOSE ONLY LOCAL AGENTS: Too many home owners see flashy TV commercials and think that is their only choice. It is NOT. Interview and choose a local agent who will be there through each step of the short sale selling process. c. FULL TIME AGENTS: Whether Buying or Selling you want and need a FULL TIME agent whose sole job is to assist buyers and sellers with Real Estate. d. FULL SERVICE: Using a discount Broker could lead to discount services. In a short sale you need every advantage you can. This is not the time tio skimp. For sellers commission is deducted from the proceeds teh bank is willing to accept. Choosing a full service broker does not cost more but could mean the difference between an approval or losing the home. 2. PRICING THE HOME: When listing short sales the practice of listing the home "way under market value" to attract more offers is leading to an increase in short sale rejections. This practice should be avoided as it is not helping out sellers who are losing their homes to foreclosure becuase of it. c. Paying for an appraisal to submit an offer. 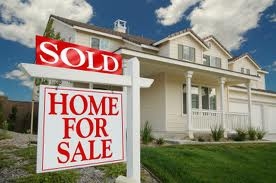 d. The bank is not the seller in a short sale - the home owner is the seller. CONCLUSION FOR BUYERS: If you are considering buying a Short Sale, whether you are in the Manchester NH area, Southern New Hampshire or located aywhere else thoughout this great country of ours, the short sale process is the same. As a buyer there are some things you need to do in order to have an advantage and opportunity to have your short sale approved. The short sale process can be long, it can be frustrating but it does NOT have to be. CONCLUSION FOR SELLERS: If you owe more than your house is worth, if you are behind in your payments or if you have to move. A Short Sale could be for you. The most important tips is to list with an agent who is well experienced in listing, negotiating and selling Short Sales. If you live in NH, call me first. I use a professional negotiator that works on the sellers behalf when negiotiating with the bank at no cost to you. Most often the home owner can complete a short sale at no cost to them. If you need to sell your home and you owe more than your house is worth, i may be able to help. I specialize in working with home owners to get your home sold. There are many options such as a short sale whcih may be able to help you. Please try and avoid out of state or out of town agents and companies that make "out of this world promises". We are local agents with experience who never charge any up front fees. WE GET RESULTS!!! If you need to sell a home in New Hampshire I can be that agent for you. I strive to provide the best personal and professional service through each step of the selling process.